Partnering with people to strengthen the community, fostering friendships through a variety of free programs, leading others to a personal relationship with Jesus Christ. We are tackling poverty by teaching children the way they should live, (Proverbs 22:6) ending homelessness by providing a safe space for displaced women and creating jobs plus tax revenue through social enterprise. Founder, Jane Forsyth, began the mission in 1991 in the local housing projects with a “Bible and a Blanket” and nearly 20 children on the weekends. Due to the popularity of the single room Bible club it had to venture for a bigger establishment. 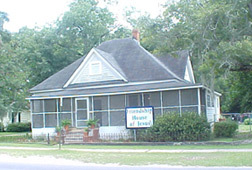 After moving locations 4 different times, in 1996 the Friendship House was established in an old house across the street from the Hutto McHiver Housing Development. With attendance reaching up to 200 children and teenagers per day, the construction of a two story, multi-purpose campus was completed in 2006. Today, Friends Ministries has exploded into a full-time, year round out-reach with services expanding to the entire community at large including an afterschool and summer program for at-risk youth, a transitional home for displaced women and their children and a social enterprise that has a storefront retail business that gives back to the mission. Friends Ministries currently offers three (3) cohesive programs that impact hundreds of children and adults through out Southwest Georgia. Friendship House of Jesus after school and summer program currently employs 4 full time directors with an additional 10 part time instructors at 2 separate site locations in Bainbridge and Donalsonville, Georgia. A temporary housing program for women and their children called Still Waters was opened in 2013. Still Waters employs 1 full time director and accepts referrals for residents from all over the country. Still Waters coincides with a job training social enterprise called The Refinery. The Refinery is a retail/wholesale shop that produces and sells hand poured fragrant candles made by the Still Waters residents in order to provide on site job training/work experience and to assist with employment of its residents. There are currently 30 retail stores in Florida, Alabama, North Carolina and Georgia that are carrying the product. 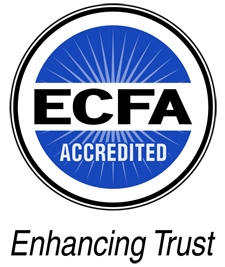 Friends Ministries is a 501 (c) (3) organization that is governed by an 9-person board that meets quarterly and is funded entirely from individuals, churches, businesses and private family foundations. No state or federal funding is solicited by this organization.